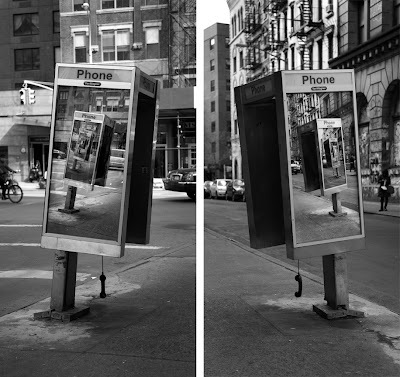 I am currently working on a series of street pieces coined the "Echo" series by my friend Kid Zoom. 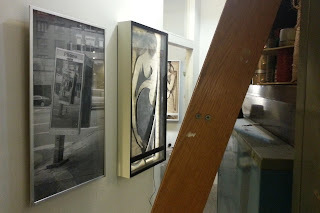 To make them, I play a short game of cat and mouse in a phonebooth, installing one image, photographing it, then reinstalling that photograph once the original work has been removed. I do this several times until the original installation has undergone several iterations and is too small to see in the photograph. As you may know, I try to make work that doesnt speak about the individual advertisements, but rather the structures or venues these advertisements come to us in. 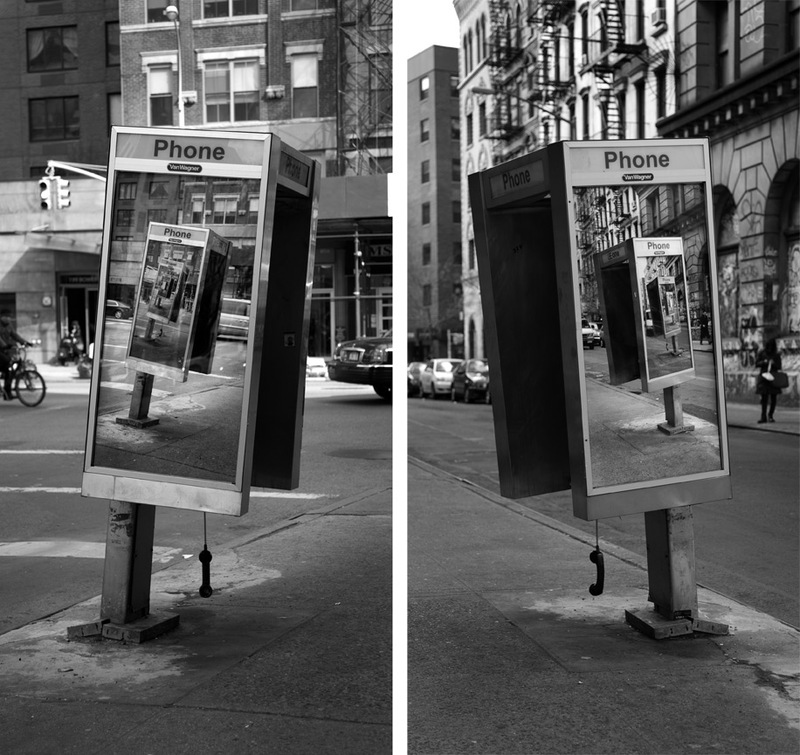 I want to draw attention to my actions without being too overt, allowing viewers to recognize a fundamental change in the type of imagery they are seeing in these phonebooths, in the hopes that they will make their own decisions about what types of imagery we should be surrounding ourselves with on a daily basis. To me the "echo" becomes a clear indicator that the advertisement has been removed, not once but a multiple of times depending on when they see it in the cycle. This repetition also speaks to my feelings of public ownership over what many consider private property plunked down on our shared public spaces. How this private ownership of public space and therefor shared mental space came to be is a question I think we should ask ourselves, and my continued retaking of a single booth shows my deeply held belief that the public environment should remain at the the publics disposal and without commercial intervention.